The MS Marathon Mighty Swim has kicked off and after 45 minutes of swimming I hard we have already seen $ 65,000 drop into the kitty. MS is neurological condition where the bodies white blood cells actively attack and damage the protective covering over the nerves. It affects each person differently and there is currently no cure. For more information about thsi disease check out the Multiple Sclerosis Website. It is all go in the City of Unley at this time of year. This weekend we see the annual MS mighty swim take place. The annual MS Mighty Swim is being hosted this Saturday and Sunday (Starting Saturday at noon and finishing 24 hours later, Sunday noon). This year is a little special as it marks the events 10 year anniversary. Total funds raised now exceed $500,000. This year’s tally is already nearing the $50,000 mark. You can support the centre and the event in two ways- donating online by using the below link. – Team MS is a great team to donate to. The other way you can support the weekend is by coming down and cheering on competitors- entry to do so is a gold coin donation given direct to the society. Please note the junior pools will also still be open (during regular hours) over the weekend with regular casual entry applying to these areas. Whilst I fully intend to call in myself don’t expect to see me swimming. I have hung up my trunks after my glorious “non” effort 2 years ago. The Event will feature other fun activities such as a bouncy castle and live music. If you tune into Channel ten news weather tonight the centre and the event will also be featured. Please give generously for a great cause and I hope to see you at the centre over the weekend. Missed the MS Mighty Swim myself due to other commitment but pleased to report it was again a huge success. 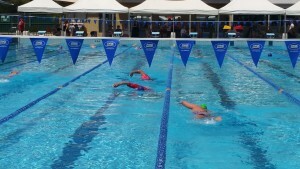 It was the 9thannual MS Mighty Swim and it was conducted on the weekend. 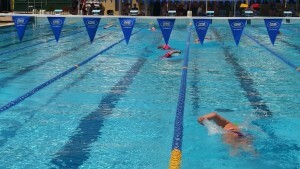 A record number of 430 swimmers registered and competed in this year’s event. 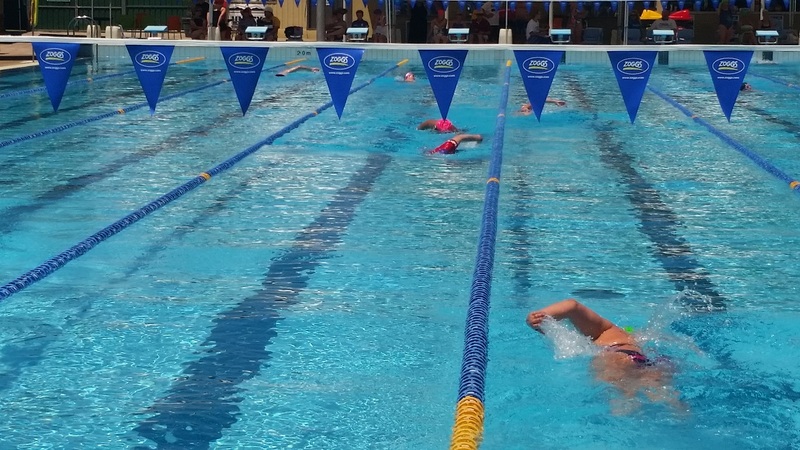 A total of 1313.7 km was swum over the 24 hour period by participants, despite a 20 minute thunderstorm interruption early on Sunday morning. 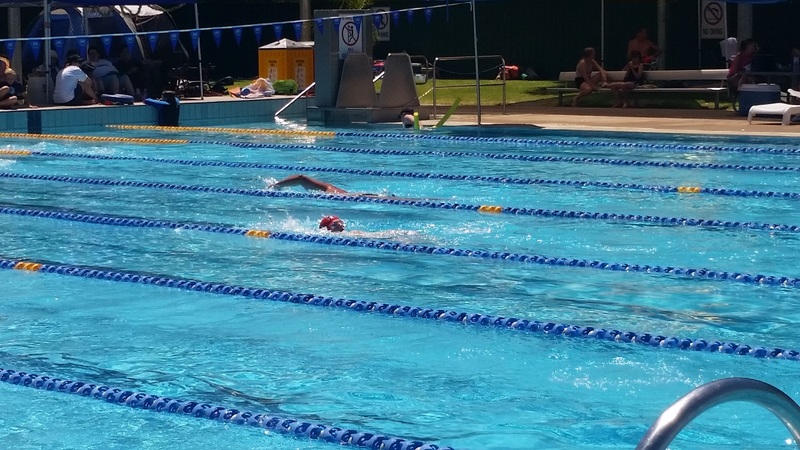 This year’s MS Mighty Swim at the Unley Swimming Centre is getting close and the City of Unley would like to contribute again with a team. Believe it or not we are coming up on a 10 year partnership with the M.S Society and almost $500,000 raised! This season the event is occurring over the weekend of Saturday 8th and Sunday 9thof February 2014. The event consists of teams of up to 20 people who compete as a team to raise the most funds and swim the greatest distance over a 24 hour period. Traditionally the City of Unley has fielded a team and been very successful, our greatest achievement coming in 2012 when we raised $12,000 for the MS society and covered 97km. It is not about winning (although it is nice), it is about having fun and doing something selfless for others. Please note you do not have to be a great swimmer to be involved. 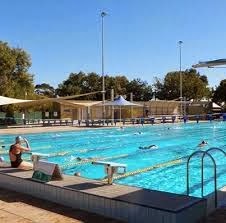 This year it would be great for the City of Unley, to continue the tradition and enter a team. It would be even better if some new, fresh faces took up the challenge and got involved. Why not train for the event to help you achieve some of your own personal fitness goals? Please do not hesitate to be in touch if you have any questions. Get involved and feel great about yourself! MS Mighty Swim gets Council backing for two years. A motion moved by myself to provide in kind support for the 2014 MS Mighty Swim was passed unanimously last night after being amended to allow it for the next two years. 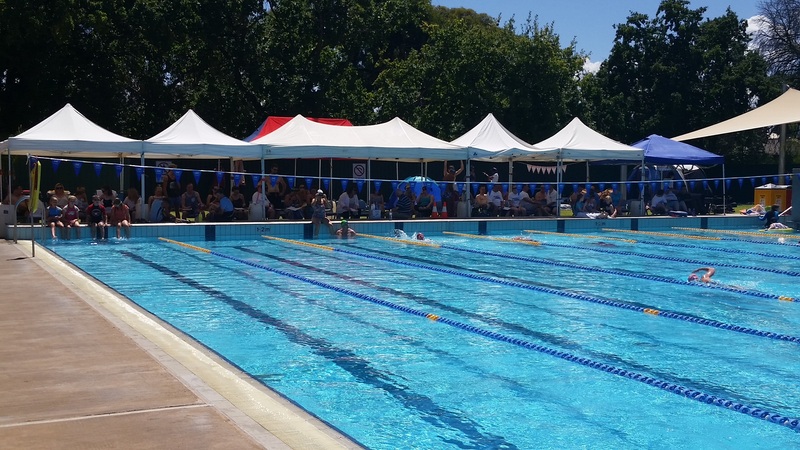 For the past eight years Council has actively supported the South Australian 24 hour Mighty Swim at the Unley Swimming Centre by hosting the event and providing generous discounts on lane hire. Multiple Sclerosis Australia is a charitable organisation whose mission is to strive for a world without multiple sclerosis (MS) through quality research and for service excellence to people with multiple sclerosis and their carers. • Enhance the quality of life of people with MS and reduce the impact of MS on the families and carers of those with multiple sclerosis. • Maintain and increase its role as a leading not-for-profit organisation and a preferred charity in Australia for community and corporate support. The Mighty Swim event is a 24 hour ‘swimathon’ held to raise money for the MS Society’s choice awards. Participants of the event are made up of teams from local community groups, pool user groups, local businesses and organisations. Council has entered a team for the last eight years. And yours Truly tried his little heart out after a 40 year break from the pool early this year with the Mayor and some members of the Anglican ministry. The MS Marathon Mighty Swim continues after my personal marathon cut short. The Mighty Swim is in its eighth year (from memory) and this years looks like being yet another success storey. 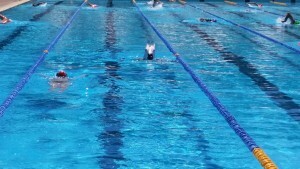 On a personal front I can honestly say I swam 100 metres more than I have for twenty years. The 24 hour marathon continues until tomorrow to collect funds for MS. Well done everyone involved including those like me who started but need more training before next year. It’s been a long time since I have been in a pool and I mean a long time. So it is with some trepidation that I have accepted an opportunity to participate in the MS Mighty swim. The MS Mighty Swim, as the name implies, is a fund raising even for Multiple Sclerosis. 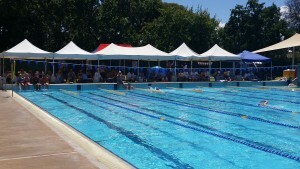 In it’s eight year it will be held (as always) at the Unley Pool at the Forestville Reserve this weekend over the two days. My contribution in the past has been to donate $ on behalf of one of the regular participants, who I know well. This year I am hitting the pool, along with Mayor Lachlan Clyne, and the Minister at St Augustine’s Anglican Church, the Rev. Peter Chilver. Hoping I can do it justice. I’ve been training twice a week at the Unley pool and the new hoist to get people confined to wheelchairs into the pool is FANTASTIC – a wonderful venture by the Unley Council with some assistance from the proceeds of past Mighty Swims. The hoist is so much easier to use, and more importantly, safer, than the old one was. Congratulations to the Council for their wisdom and support of this initiative!